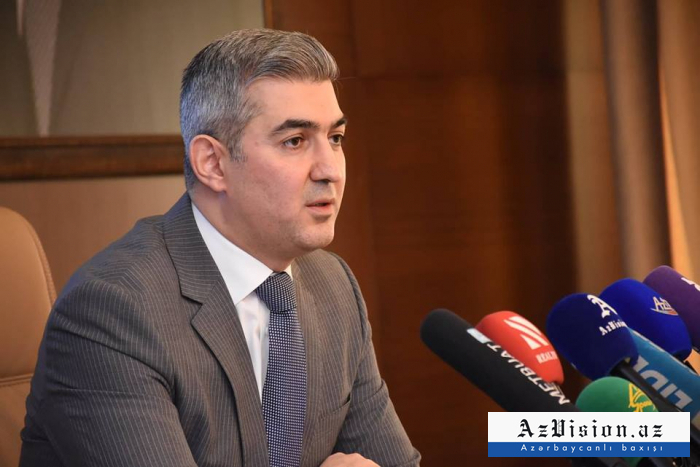 As many as 41,030 people were granted temporary residence permits and 3,220 were granted permanent residence permits in Azerbaijan in 2018, Vusal Huseynov, Head of the State Migration Service, announced Friday, AzVision.az reports. 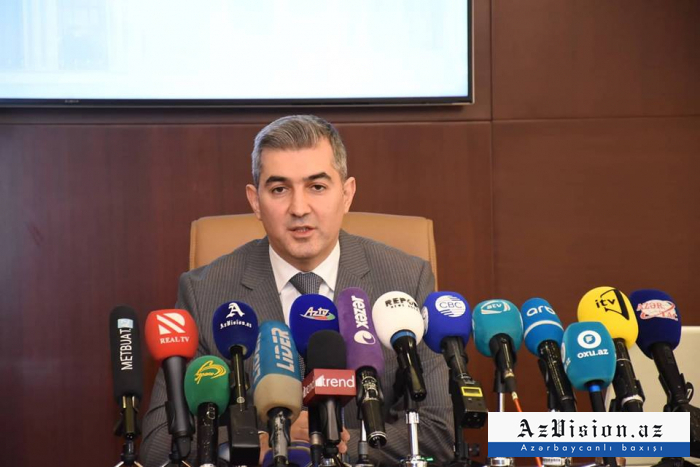 Head of the State Migration Service Vusal Huseynov held a press conference on the results of last year with the participation of mass media representatives, AzVision.az reports. Opening the conference, Huseynov made speech about the successful development of Azerbaijan in 2018 and great achievements in the field of economic and international politics. On 19 November 2018, for the development of bilateral relations, Azerbaijan and Belarus signed the agreement on cooperation in the field of migration. The number of foreigners visiting Azerbaijan rose by 6 percent in 2018 standing at 2, 845 697, Vusal Huseynov, Chief of the State Migration Service of the Republic of Azerbaijan said at the press conference. Huseynov noted that the number of foreigners visiting Azerbaijan in the same period of 2017 was 2, 692 219. “As many as 41,030 people were granted temporary residence permits and 3,220 were granted permanent residence permits in Azerbaijan in 2018. In addition, 6,162 people were allowed to engage in paid labor activity in Azerbaijan last year”, the state service head said. The State Migration Service made 19,210 decisions regarding violations of the migration legislation during the reporting. “In 2018, the State Migration Service received 27,509 appeals regarding the determination of citizenship, and 464 people were readmitted to Azerbaijan from countries,” he said. Huseynov noted that last year the number of people residing in Azerbaijan with refugee status increased by 16 percent. “Currently, there are 75 people residing in Azerbaijan with refugee status,” he added. 27509 applications (31507 during the corresponding period of 2017) have been filed to determine the citizenship of the service. The head of the service noted, 85 people were deprived of Azerbaijani citizenship in 2018. The number of electronic services provided by the State Migration Service of Azerbaijan has been increased from 11 to 14: through the "ASAN viza" system, the list of electronic visas has been supplemented by an entry labor visa. Huseynov noted that a new mobile application of the MİGAZ Service was developed and presented to the public. "In addition, a new project was launched on “ASAN Radio” the program “Miqrasiya saatı” (“Migration Time”) is on the air, on Wednesdays to convey information to a wide audience since October 10,” Huseynov said. The head of the State Migration Service added that in 2018 the Service’s work was expanded, and at the border checkpoints of Samur, Astara, Shikhly, migration departments began to work around the clock. 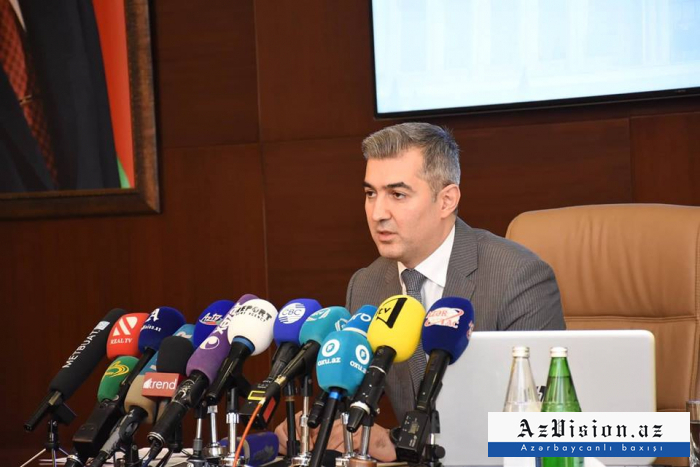 Huseynov noted that, given the significant increase in the number of foreigners on New Year’s Eve, from December 15 of last year to January 15, 2019, monthly check is taking place, information is provided to foreigners through video clips, printed and distributed flyers in Azerbaijani, Russian and English. According to Huseynov, the Service has drafted nearly 30 international treaties, including readmission agreements related to the improvement, within the framework of international law, the process of returning compatriots illegally living abroad, protocols on the implementation of these agreements, as well as bilateral agreements on cooperation in the field of migration in order to strengthen relations with the migration authorities of foreign countries. Also, he said that two recruitment competitions had been held. “In the first competition, nine employees were hired and in the second competition the testing has already been completed. In the second job competition, it is planned to hire 14 employees,” said the official. At the end the Chief of Service answered questions from media representatives.